At 40' x 100' our barn can accommodate up to 225 guests plus a large catering staff for your next event in New York. 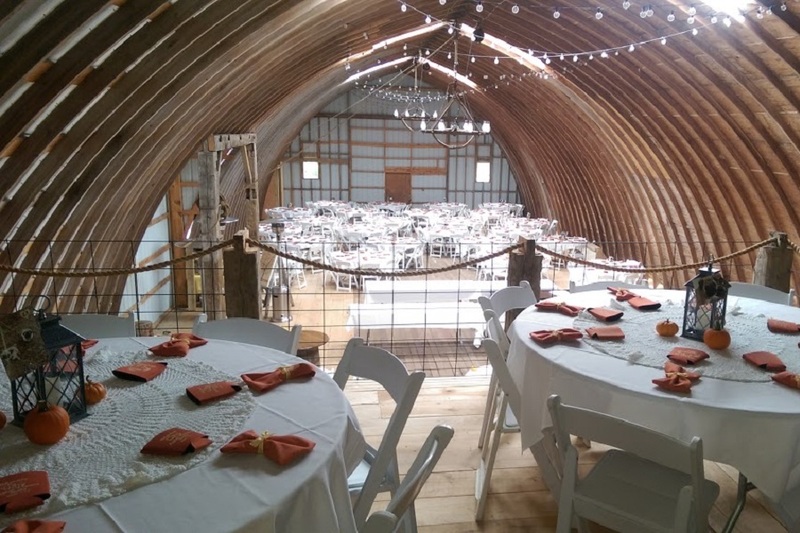 Inside the barn remains the original corner granary, which has been converted to a prep room for catering service. It has several refrigerators, one of which is a kegerator which holds two half kegs, a large sink area and plenty of power to run your event. 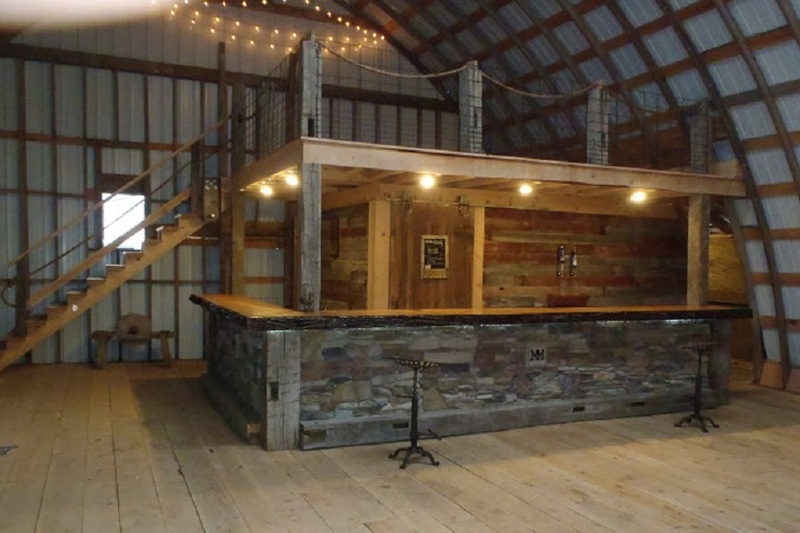 Surrounding the outside of the granary is a live edge 30’ L shaped bar. The bar is cut from a very large 165 year old white oak tree from our woods. It was important to us to have this age old line tree remain a permanent part of the farm. On top of the granary is a loft area suitable for additional tables and/or pictures. 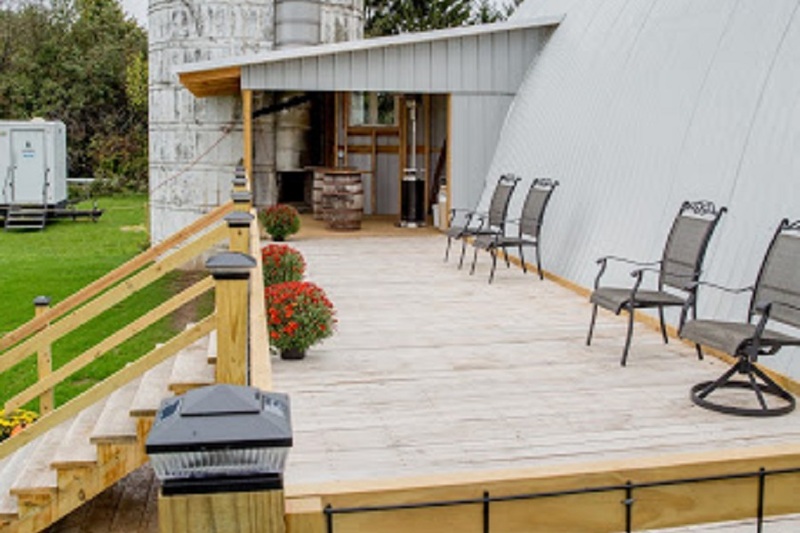 The lighting consists of two large wagon wheel chandeliers suspended by antique hay unloaders. Two full length strings of party lights crisscross the ceiling. 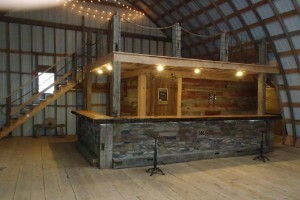 There is also lighting over and under the bar. All lights are capable of dimming to exact your desired effect for dining or dancing.